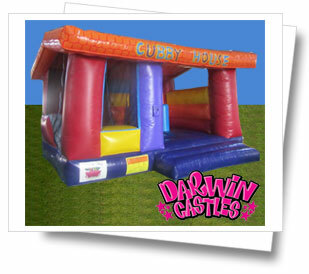 Cubby House Combo Jumping Castle. 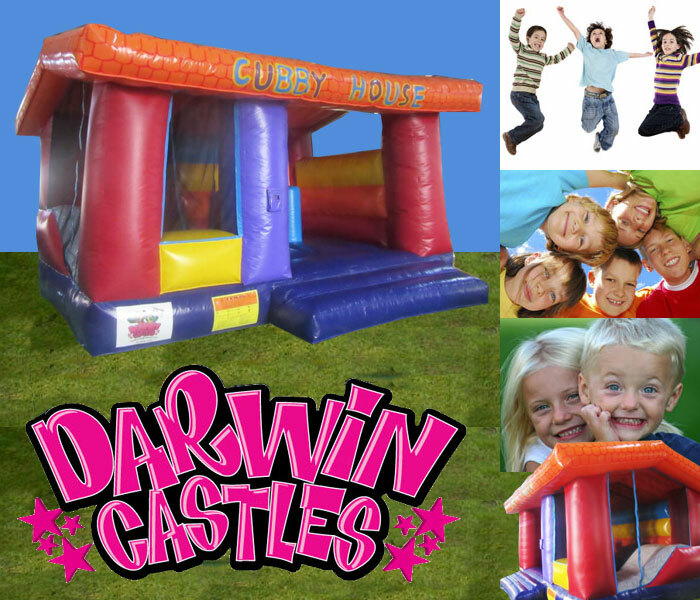 Perfect entertainment for the little ones, jump, climb and slide,knock down the inflatable bollards. 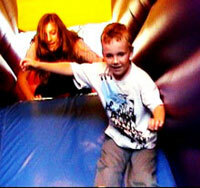 playgroup or pre- school fundraiser.